To decrease the mosquito population, and lessen the chance of West Nile Virus spreading, be sure not to let water stand for more than a couple of days in any of the above mentioned areas. Mosquito Dunks are effective in killing mosquito larvae for 30 days when added to standing water. 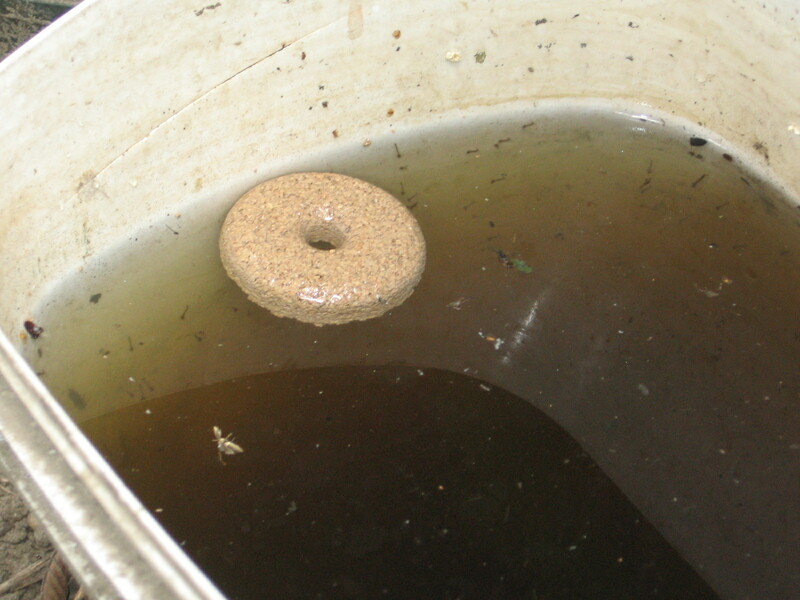 The dunks which are formed in the shape of small donuts consist of bacteria known as Bti israeliensis. Mosquito Dunks only kill mosquito and black fly larvae, which die within 24 hours of ingestion. Mosquito dunks will not harm people, pets, wildlife or fish.